I have been writing stories on and off for several years now. I never thought much of it other than it was a way for me to relax, unwind, be creative. Then one day God gave me an idea for a new story. I sat down and wrote it in about a week! The fastest time ever (for me). Just like all my other stories I held onto it, however God had other plans and he told me to send it in to a few publishing houses. So I did, I sent out my manuscript, still not really believing that anything would come of it. Then just a few weeks later I was contacted by a publisher and offered a contract. I was super excited and after praying about it with my husband, I signed. I thought that would be the end of it, perhaps I would write and release more books, but that was the extent. Once again God’s plans are not mine! He spoke to me yet again, this time to inform me that my book was not His big plan for me…he was using my book to open doors, to make a way for me to start a women’s ministry. He even gave me a speech…WHAT! You want me to speak to women, I questioned? Yes he does…he made very clear that is His plan for me. So now I am not just a stay at home wife, mother, author, but I am an inspirational speaker as well. The truth is, I am humbled that God has chosen to use me as his vessel to relay His message to women all over the world. 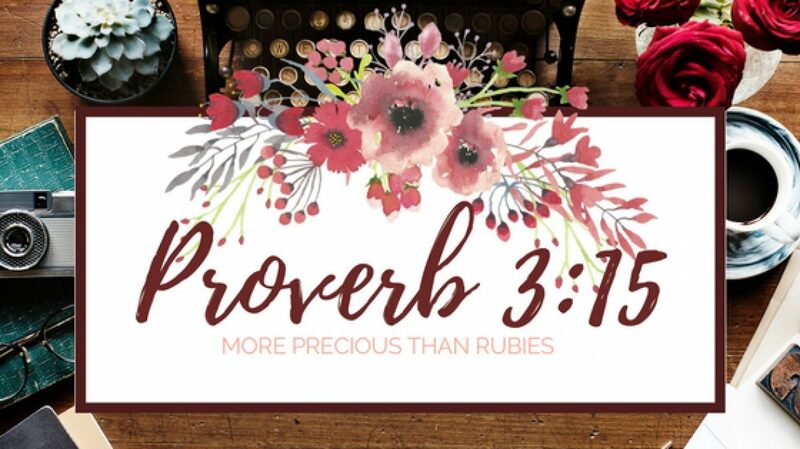 A message letting us know (as women) just how precious each one of us truly is in the sight of God. Our past does not matter, if we have put our faith and trust in Jesus Christ as our Lord and savior our sins are forgiven. (Psalm 103:12 and Romans 3:23-26) We are not defined by our past or who others say we are…we find our identity in Christ and Christ alone. (John 1:12, 1 Corinthians 6:17, Romans 6:6, Jeremiah 1:5, 1 Peter 2:9, Galatians 3:27-28, Colossians 3:1-3…just to name a few). I am excited about this new journey…my speaking engagements and my book, Box of Treasures, as of now, is to be released on May 8th. I can’t wait to share this story of a young woman’s journey through life set in the 1940’s . Her trials and tribulations, her joy and her tears…her journey that ultimately leads her into a relationship with Christ. His forgiveness, redemption and most of all his grace and love.